Kastro, quite literally means ”the castle”. The village is to the north east of Limenaria towards the centre of the island. The village is built at an altitude of 450 m. above sea level, and because it is nestled in the mountains, it cannot be seen from the coast. This was a deliberate policy in the past and throughout the ages, to help protect villages and their residents from being despoiled and pillaged by pirates in the Mediterranean. It’s name derived from the ruins of a castle that once stood there. 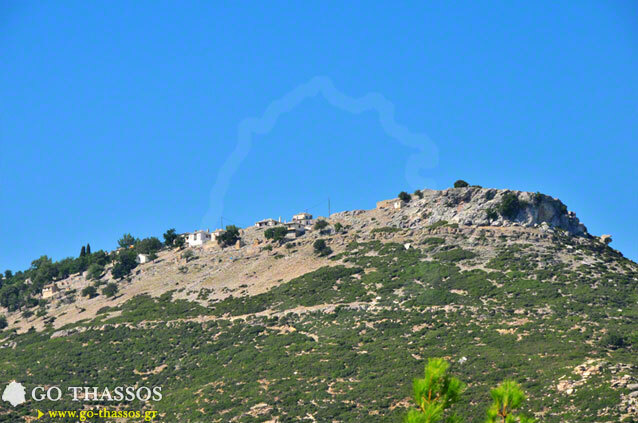 Jacob Gatelluzzi, a Genoan to whom Byzantine Emperor Emanuel II Palaiologus gave both of the North Aegean islands of Thassos and Lesvos to in 1414, built the castle on the mountaintop at which the village is found today. The Gattilussi family ruled Thassos for 40 years. Evidence of this can be found on three plaques on a wall of the Church of St. Athanasios. The village was deserted for very many years. The original residents had abandoned the village in order to work at the island’s coast. 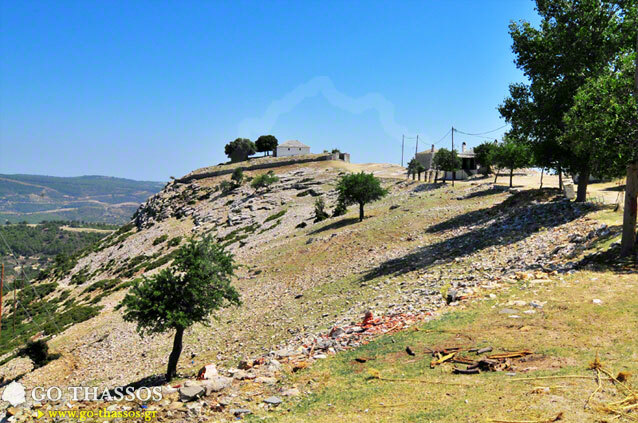 Many of them went to the flatter areas where they were able to cultivate their land, and take care of and benefit from their olive trees. Others went to work in the mines near Limenaria, to excavate the minerals on behalf of the Speidel Company. This work of course generated better income for them, and that led to a better standard of living for them than what they had previously been able to have in the village. More recently, many of the old houses have been renovated, and are used as summer holiday homes, or by Greeks when they come and visit for the weekends. Apart from this, it then becomes quite a dormant village during the colder months, especially the winter. However the village comes to life once again on January the 18th to celebrate the Saint's day of St. Athanasios, the patron saint of the village. 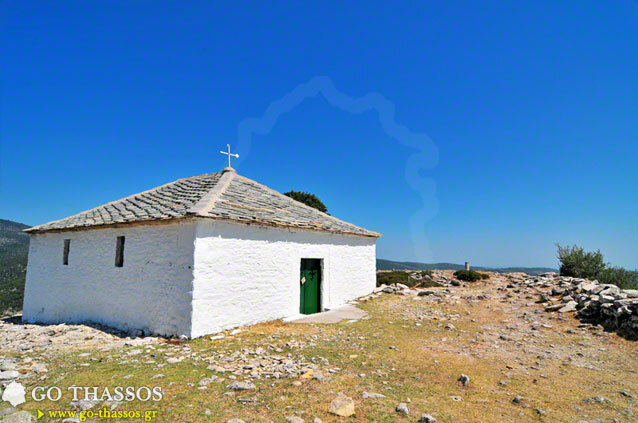 For an entire week many Thassians go to the village of Kastro to celebrate with food, drink, music, dancing and generally enjoying themselves, so as to celebrate the Saint's name day. 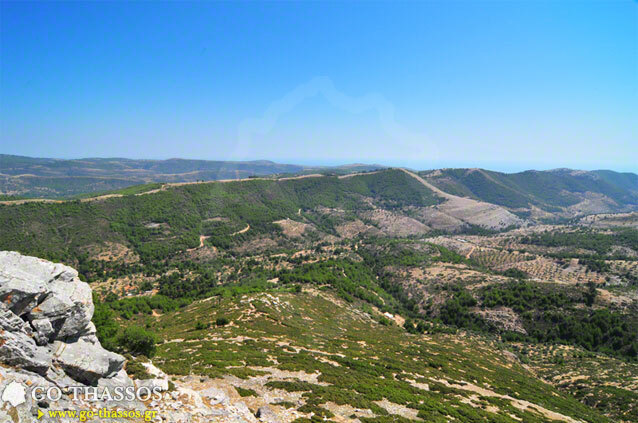 It is easy to get to the village of Kastro from Limenaria, it takes about 35 minutes in the car. If you are more energetic, you can walk from Limenaria or Theologos. It is a very pleasant walk, and you would be able to see all of the local flora and fauna on the way. The walk lasts between two or three hours depending on how energetic you feel. If you do decide to drive, it is better to go with a four-wheel-drive car or a car which has a high wheelbase, as the roads are not well made and can damage your car if you do not take care! 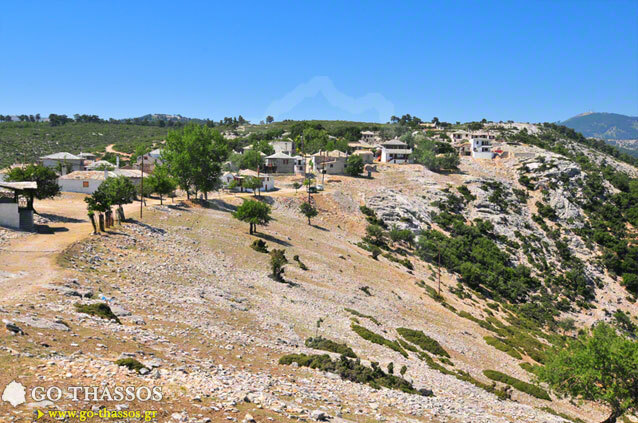 The following is an article that was written about Kastro in a special edition of the island's local newspaper, The Thassiaki. Being built up on a stony flat at Thassos' mountainous heart and surrounded by deep ravines and gorges, the Castle preserves many signs of the past, medieval erections and vestiges of Gattilusie of the Genoa dynasty. Throughout the centuries, the settlement moved through periods of glamour and decline but remained however an everlasting place of secrets and miracles, a cradle of culture and harmonic coexistence of man and nature. In present days, being already abandoned by its inhabitants, the Castle rouses from the lethargy for few only days, being in the middle of winter, to become again the center of St. Athanasios' celebration day. Music and songs reverberate through the medieval narrow streets, the house chimneys smoke and the inhabitants meet around the big common table, "the coulbani". 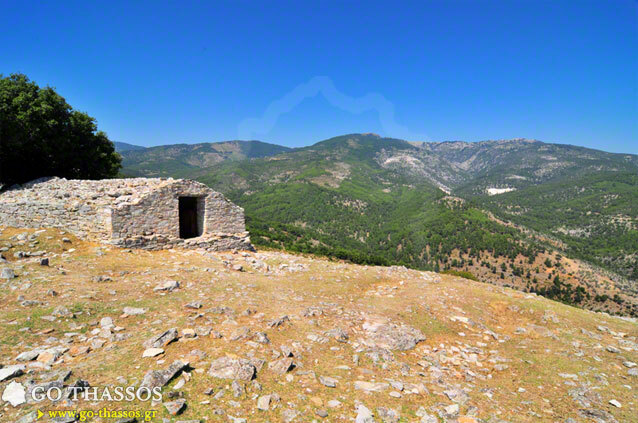 Being built up on an altitude of 450m (the highest of all Thassos settlements), the Castle was a fortress site of Gattilusi of the Genoa dynasty that had the island in its occupancy during the period 1414-1455. Based on three inscriptions that are now walled in St. Athanasios' church, the first fortification on the settlement was made on 1403 including the castle, the water reservoir and the tower. Gattilusi family reinforced the fortification on 1414-1416. After the Turkish occupancy, the number of Castle inhabitants seemed to increase with people from other settlements of the island and refugees from Constantinople. The third inscription, made in 1462, attributes the Castle's reconstruction to two Constantinopolitans, Constantine and Ioannis. The fact is that the settlement became an important commercial center of the island, flourishing until the end of the 19th century. The Castle owns its historical identity partially to its location. It has been erected on a flat area of rock that is detached by deep ravines from the surrounding mountains, and shapes therefore a small impervious ring. In the settlement's center, the most flat and even part of it, the church with its bell-tower and arched arcade remains standing along with the ruins of an old cafe and the school built in 1897. A high stonewall with two entrances, one on the east and another on the northwest side encompasses this complex. By the rocky edges of the settlement, the precinct of modern day's communal cemetery - that coincides with the medieval precinct - and the arched-roofed reservoir stands by the tower foundations that were used as an ossuary. The Church of St. Athanasios is dated, according to its proprietary inscription, back to January 1804. Based on tradition, the church was constructed within forty days after the license was obtained by the Sultan. Since time was short and none could be lost, the whole village participated in its construction. The stones used for the contruction were coming from the old castle ruins. This explains the three medieval inscriptions on the church's South wall. The one that depicts Gattilusi's rule was placed up town. The eldest still remember the church as its came, the time when four priests officiated. It's not random that the church is the epicenter of the settlement's periodic resuscitation. It is here that they continue to celebrate the memory of St. Athanasios on January 18th. Architectonically the church is a three-aisles wooden roofed basilica with an arched arcade along its south side, where "coulbani" is roofed, the large dinner table that all inhabitants share on St. Athanasios celebration day. It is a typical sample of Thassian ecclesiastic architecture that had a wide influence all around the Balkan areas during the Turkish occupation. St. Athanasios Church is characterized as a historic scheduled monument under a ministerial decision of 1980, "because...,it is one of the oldest churches of Thassos that preserves many authentic figures useful for the study of ecclesiastic architecture of 19th century and the island history in general". It is subject for its protection to 12th Superintendence of Byzantine Antiquities (of Kavala) and Culture Ministry.